Large Silver and Blue King Series Cups. Available in 5 sizes, 230mm, 250mm, 270mm, 300mm and 330mm high. 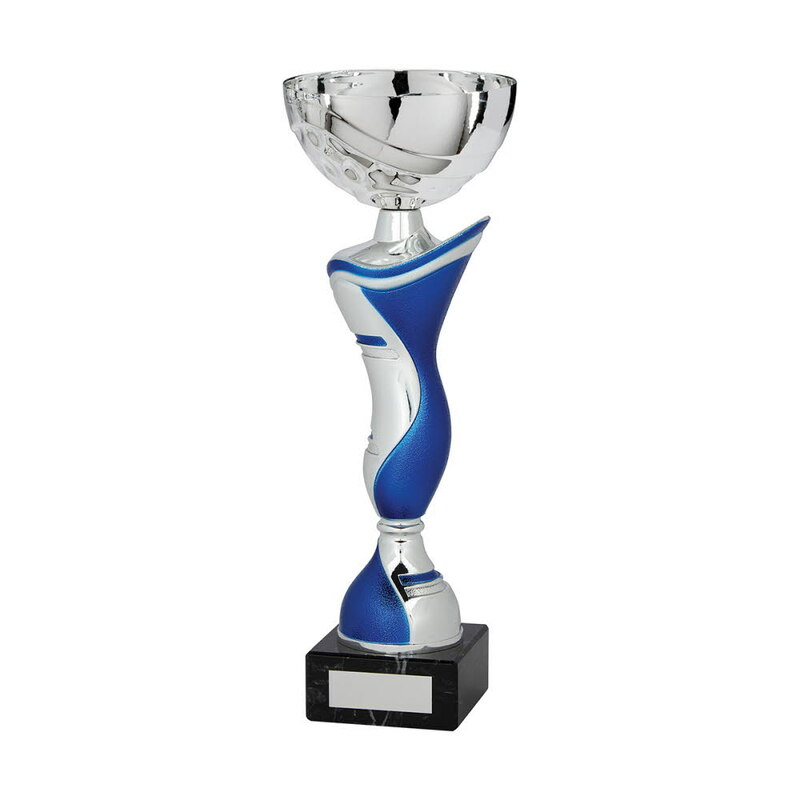 Silver metal cup with a silver and blue plastic riser mounted onto a heavy black marble base.